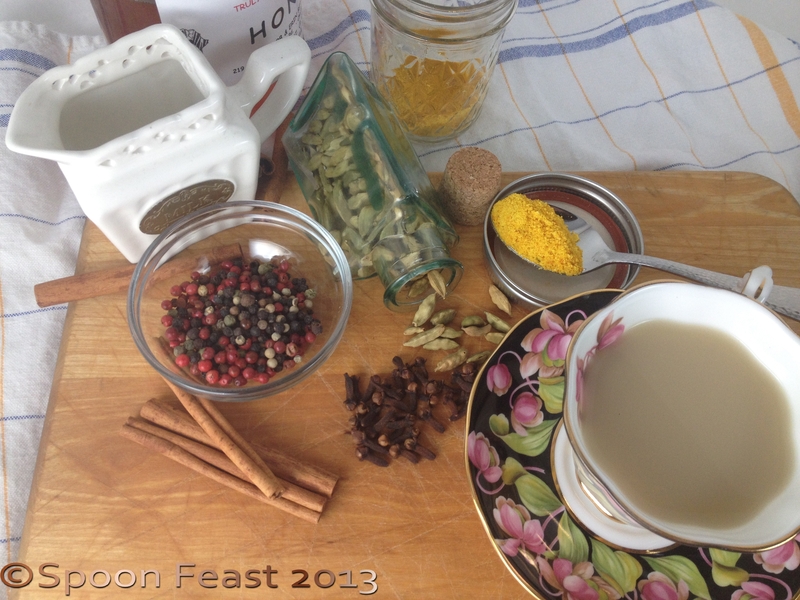 Making spiced chai at home is so rewarding in many ways. I remember the first time I tasted warm spiced chai tea at Starbucks one bone chilling cold wet and rainy day in Washington DC. It warmed me to the bone in a single sip. However, being loaded with fat at sugar and who knows what else, I decided to brew my own at home. First I used the Spiced Chai bags from the tea store. Then, I got a recipe and decided to try it out. I am a total sucker for anything that makes my house smell great, naturally. Once I placed this mixture in the crock pot, my house smelled like heaven for hours. Then the best part was getting to drink that amazing aroma in a nice warm cuppa tea. Gather these things to make Chai. include black tea or burdock root or another herb if you prefer. As a base, choose 2 tablespoons black tea, green tea or burdock root. Put it all in pot, bring to a boil and then simmer for 1 hour. Strain, add honey and milk to taste if desired. Or you can bring it to a boil, then put it into a crock pot on low and let it simmer overnight for an intoxicating aroma and delightful tea in the morning. If you are the kind who has cold hands and feet, try this. It will warm you completely and wonderfully. It’s sure to make you smile. If you make Chai at home, please share in the comments how your recipe may be similar or different. Chai is like curry, so many possibilities! 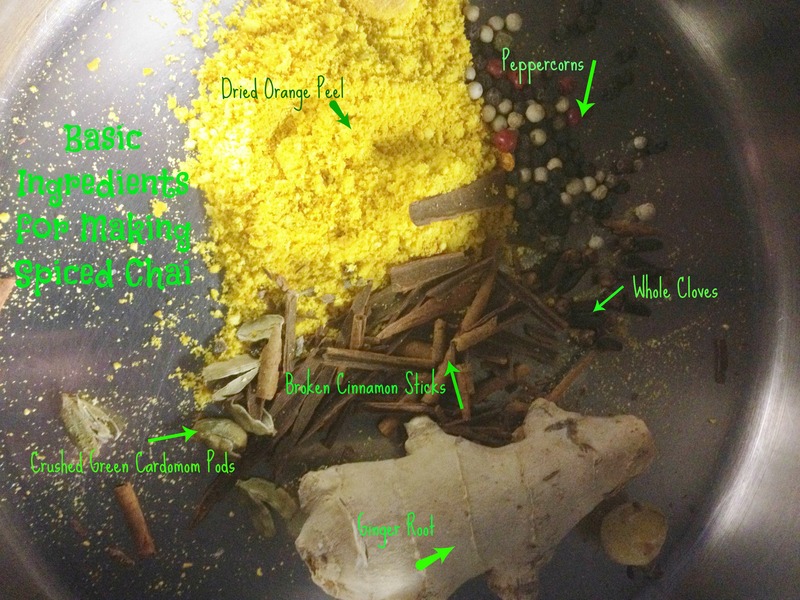 This entry was posted in Beverages - Non-Alcoholic, Recipes and tagged Chai, Ginger, making chai tea at home, Masala chai, Spice, Spiced Chai, Tea. Bookmark the permalink. I’m afraid I’ve never experienced the pleasure of making my own chai at home, although after reading this recipe I think I shall have to try it! I too love delicious smells wafting from the kitchen (baking bread and pastries is another of my favourites). You will absolutely adore the wafting aromas if you make this! Thanks for stopping by.